Learn Mindfulness: Introductory Workshop with Simon Heale. 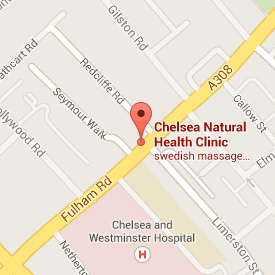 at Chelsea Natural Health Clinic, 208 Fulham Rd., SW10. How can Mindfulness and meditation help my life? If you have ever wondered what this ‘latest’ fad, called Mindfulness is and are curious about the many claims that are out there about how Mindfulness and meditation can: lower blood-pressure, reduce stress, increase productivity and creativity, improve health and well-being, bring a meaning and fulfillment to life, improve relationships, solve conflicts, create clarity….and on we can go. To find out exactly what Mindfulness and Meditation is and how you can benefit from it Book Now to attend one of my Introduction to Mindfulness workshops in September. These workshops are aimed at anyone who is curious about Mindfulness and meditation and those who would like to change aspects of their lives that are unworkable, be it stress, anxiety, health issues or even to find direction and clarity. The workshop is aimed as an introduction to the 8 week or 1-1 Mindfulness Based Stress Reduction programmes. The MBSR courses are run several times a year, with the next ones beginning in Summer 2014. These courses are small groups only. I also offer more in-depth 1-1 MBSR trainings. If you are interested in attending my next Introduction Seminar please using the email button. To book your place please Email me to confirm the date you prefer and what you are looking to get out of the workshop. Its only £20 to attend and promises to be fun and informative. The workshops are also pre-cursors to learning the 8 week Mindfulness based Stress Reduction programme. The next MBSR courses will begin in early Summer 2014. Please can you also forward this on to anyone you think might be interested and by all means bring a friend or two. Do you find it hard to get to sleep?